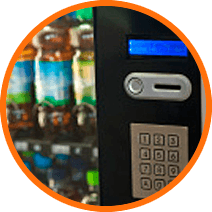 Companies in the sector of the vending machines, in dealing with the installation, replacement and maintenance of all its vending machines they need to be in a constant movement. Therefore, it is of great importance to them that they can offer a service of great mobility, agile and able to reach timely to all destinations. The constant replenishment of the products and the regular maintenance of the machines requires strict adherence to the predefined schedules for the proper functioning of the business. For this reason, incorporating to your business activity a tool like Routing Reparto, which is a software specifically designed for the control and optimization of your company's vehicles movements, will mean an exponential improvement in all the aspects of your business. On the one hand, you will be able to plan efficiently the routes of your replenishment and maintenance vehicles, and on the other hand, you will be able to implement a tracking module that will allow you to know in real time the activity of your business throughout the day.